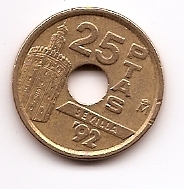 One of the things I love to collect when I travel is the local currency. My list of countries with their own national currency that I’ve been to is kind of small, mostly thanks to the European Union and its common currency. England, Croatia, Romania and Slovakia (which I went to specifically in 2008 rather than 2009 so that I could get some Slovak korunas) were really the only places I was able to pick up anything at all during my year abroad. But I do have an uncle (really a great uncle) who loves to travel. He’s slowed down the last few years, but as a teacher, he was able to amply travel the globe. Collecting currency was something he always did, too, and over the years, his foreign currency has been passed along to me. Essentially, I have my own little international monetary fund. I have the money, separated by country in individual zip-top bags, stored in a tin because I’m super classy. Africa is the most underrated in my collection, with money only from Tunisia, Egypt and South Africa. And I have money from only one Middle Eastern country (Saudi Arabia). 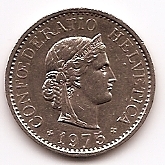 I have coins and bills from most of Europe (pre-euro and some country-specific euros like the Mozart euros from Austria) and many South American countries. My uncle has also traveled to a lot of the Caribbean islands and also to east Asia from the mainland to the islands, from Polynesia to Macau and New Zealand. First up is China. I really like the mauve color and the intricate patterns. 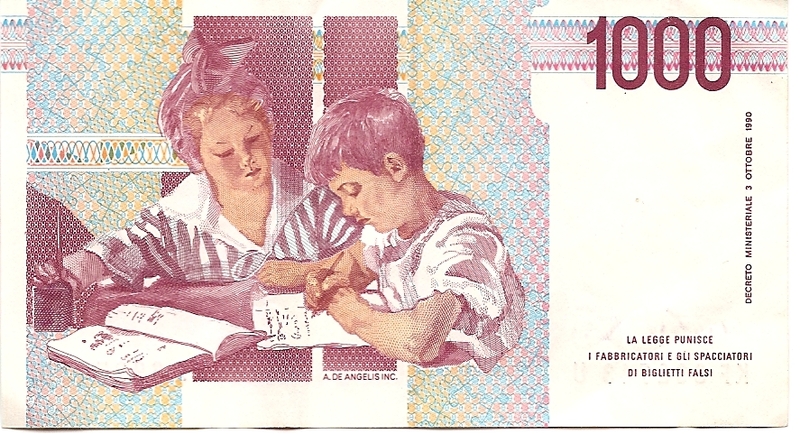 This bill is from Costa Rica. It is the most colorful of all the money in my collection. 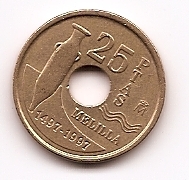 Again, I like the pattern in the middle of this Italian lire. Poland is one of those places where you could easily be a millionaire, when bills are printed in amounts of 50000. 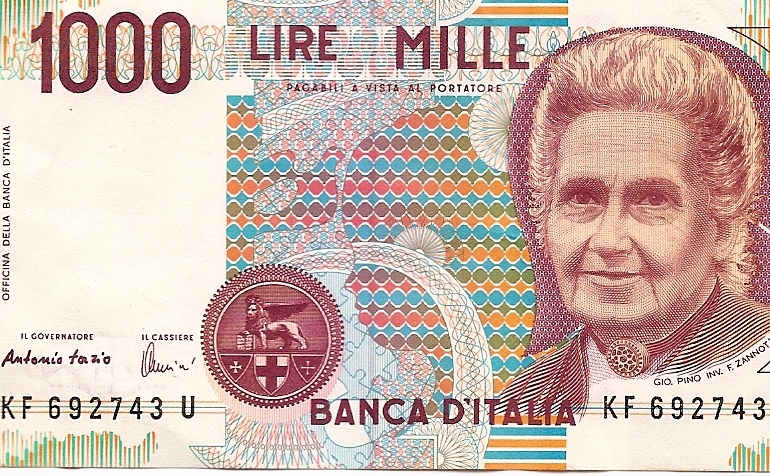 I did not realize what this was at first glance, until I understood that yes, I am reading English on Italian money. 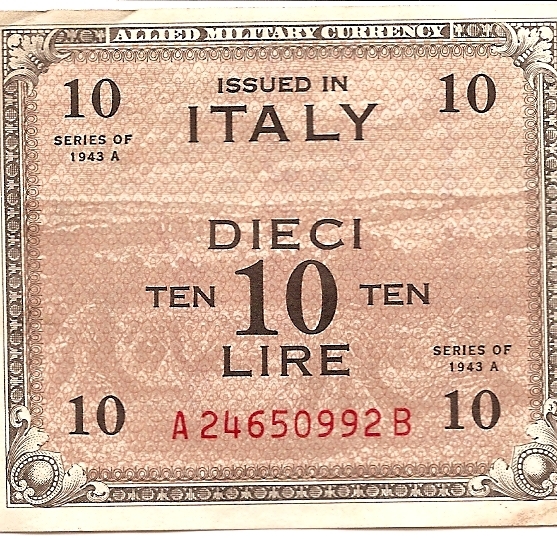 This is allied military currency, issued in 1943. 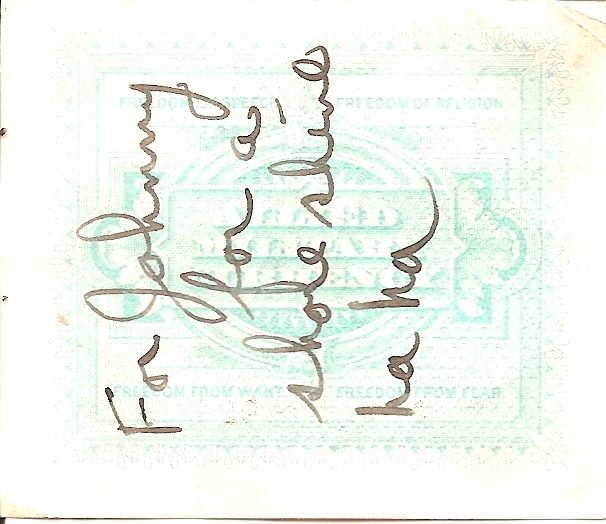 On the back, which is too faint to read on the scan, it says: Freedom of speech, freedom of religion, freedom from want and freedom from fear. It also says that it is for Johnny for a shoe shine, and I do have an Uncle John, so I’m going to have to check into a bit of family history with this bill. 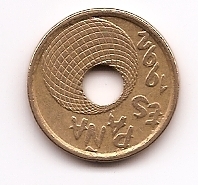 Next up are my perplexing Japanese pesos that look similar to the American dollar. What I’ve found is that these are from WWII and are Japanese-government issued Philippine fiat money. The first 1 peso is about the size of Monopoly money and the others are American-dollar size. From what Wikipedia says, this money was about as worthwhile as Monopoly money. 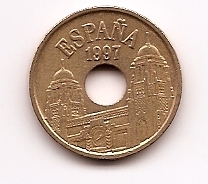 These next two coins are from Spain, and I just thought the hole made them extra neat. This is my other perplexing piece from the organizing. I couldn’t figure this one out, especially because the flip side had only the number 10 on it. Finally, I turned to Google and what I learned was an epiphany. 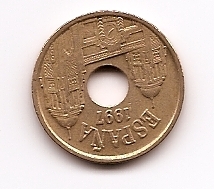 This coin is from Switzerland, and the writing is in Latin so that none of the country’s four languages would be favored on the money. And now I know why the letters for Switzerland are CH! And last, but not least, is probably the jewel of the collection, if one could call it that. 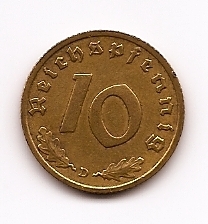 It’s a 10 Pfennig coin from Das Deutsches Reich. This entry was posted in Asia, Europe, North America, South America, Travel Narrative and tagged China, Costa Rica, Currency, Germany, History, Italy, Japan, Money, Philippines, Poland, Spain, Switzerland, Travel. Bookmark the permalink. What a cool post! I have collected quite a bit as well, but mostly b/c I have small bills and coins left over and I’m not sure what to do with them haha. I guess I’m hoping I’ll return one day and can use them? I don’t really have much to do with my money either, seeing as it is stored in an old tin. Maybe someday some of it could be framed. Most of this is too interesting for me to spend, especially since so much of it is old, but I always make sure I come home from Europe with euros for the next trip! Love this post! I really love collecting money from around the world, too — especially if it’s old! I’ve got some old bills from Czechoslovakia, back before the two countries were split. That’s pretty cool. 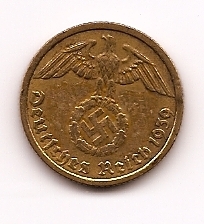 And I’m envious of your Nazi coin. What a cool find! Really nice!! It’s pretty good you got to collect some of the currencies that don’t exist any more as they were replaced by the Euro. I also have a collection of foreign currencies but it’s not as big..